Yikes! I spent over 60 hours this month listening to audio books. Do I feel guilty? Not at all. 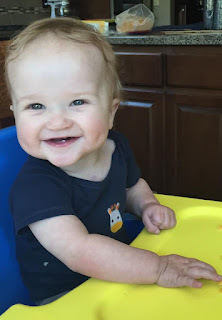 It's a necessity if I'm to offer recommendations on this blog. Besides, I multitask. While the audio is going I also dust, wash dishes, sweep floors, bake muffins, exercise on the stationary bike, or do other chores. But lest I mislead you, I confess there are times--every day--when I toss the dust rag aside, get comfortable in the recliner and simply listen to a captivating story. Now, about those books I read. Out of the five worth commenting on, two merited a 5-star rating, something I rarely award any title! One received 4-stars. Another garnered 3-stars, and one only got 2-stars. My choice on this last one was difficult as the book had a 4+ ranking on Goodreads. Did we read the same book? Did I react to the content rather than objectively evaluate the work? After some thought the 2-star decision remained in order to be true to myself. Even before finishing this book I was recommending it to a friend. 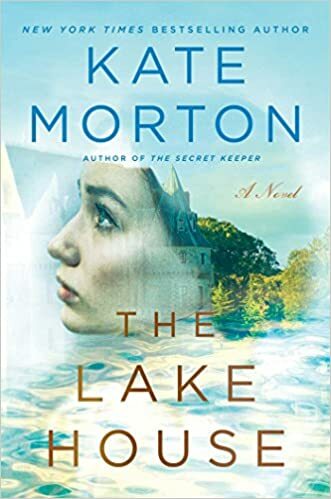 The audio version of this bestseller was excellent and the narrator's British accent contributed positively to this England-based story. Plenty of twists and turns to this mystery which is centered on a family and the solving of its 70-year old secret. My only criticism of the title is its ending which seemed a bit farfetched. Still, the author's ability to intertwine three different subplots within the main storyline kept me fascinated and why I gave it a 5-star rating on Goodreads. Won't be at all surprised if this book becomes a movie. 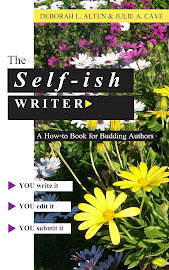 I approached this audio book knowing Bodie Thoene is a skilled writer with many titles to her credit, but wasn't sure if this work would succeed in audio format. Surprisingly, it did, though the narrator's British accent kept getting in the way initially. He was quite good, but my mind kept wanting a voice of a man or woman which reflected the Middle East tone. My impression from the jacket copy was that Lazarus was the main character in the book, but Jesus is really the dominate personality. Regardless, the author did an exceptional job of research and writing, making this historical fiction piece both entertaining and educational. This is Book 1 in The Jerusalem Chronicles Series and I’m all for listening to the next one, “Take This Cup,” and perhaps even Book 3, “Behold the Man,” when it is released this coming September. Note: If you buy the Kindle $1.99 version you can then buy audio for only $3.99! What piqued my interest in this title was the mention of Sherlock Holmes in the promo copy. Alongside Holmes name was another: Mary Russell. Who is she? I wondered. Sorry Holmes fans for being so ignorant of this author and the lady who I now know is the fictitious wife of the well-known detective. 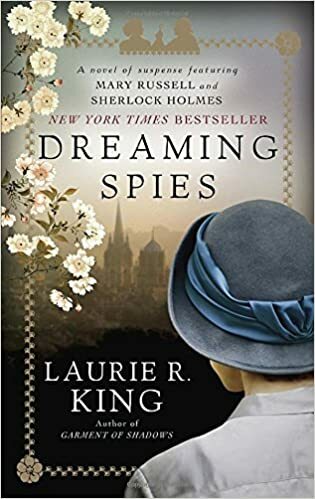 Anyway, back to “Dreaming Spies.” It turned out to be a mix of adventure and mystery. While the story starts out in England, much of the saga takes place on board a ship or in Japan in the year 1925. Intertwined in the mystery is a good amount of information about that country’s culture and history which at times slowed down the story. Overall, though, the book held my interest. Perhaps if I had read it in its correct order I would have enjoyed it more. It wasn’t until after completing the novel that I learned it was the final title in the Mary Russell Mystery Series. On the plus side: I learned a lot about Japan and now have 13 other titles in the series to add to my wish list. I’m not enamored by the Kennedy family but this account of how they responded to having a child with mental challenges intrigued me. What I did not expect was how their attitudes and actions would anger me. The birth of Rosemary, back in the 1920’s, is how the story begins. Not long after the doctors stated she was “retarded,” and medical experts urged the parents to place her in an institution, a common practice back then. But Rose and Joe Kennedy went against protocol and brought their daughter home to be raised and schooled like any other normal child. Admirable actions but mixed with wrong motives. Unfortunately, after a botched lobotomy, the girl was placed in numerous care facilities where she lived out her life. I don’t regret reading the book as it made me appreciate the advancement we’ve made with how we view and care for those with mental health issues. 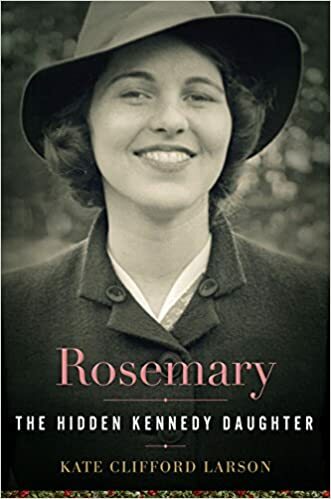 Expecting to learn much about Rosemary in the pages it was a disappointment to feel I hardly knew her by the books end. The bulk of the material written was about the parent’s efforts to maintain their image, instead of loving, embracing and esteeming their daughter. It was rather dry reading too which is the primary reason for my 2-star rating. I read this book years ago and it still remains at the top in my "favorites’ list" and a title I’ve given to others over the years. When the audio version came on sale ($4.95) recently at Audible.com I could not pass up the chance to listen to this historical fiction again. Rivers has an exceptional ability as a writer of biblical fiction. Admire Rivers abillity to take historical facts and wisely place them in a skillfully told drama. 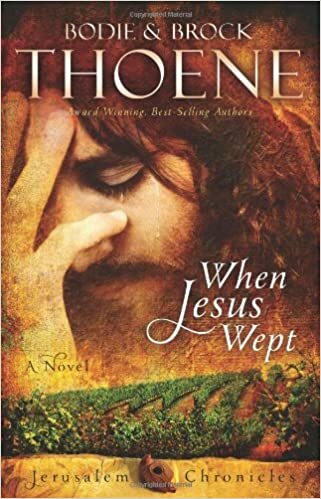 The realistic portrayal of the persecution of the early church in Rome is what grabbed my attention during my first read and left me better understanding of what it means to be a Christ follower. My second time through was more unsettling due to current persecutions taking place of Christians by ISIS and other radical groups. The similarity between America and first- century Rome where believers were belittled, hated or killed for their faith was also disconcerting. It would have been a somber read if not for the main character, a young Jewess and believer named Hadassah, who offers hope and a striking contrast to a depraved world. 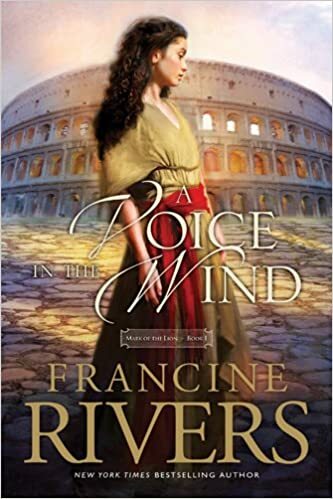 Her faithfulness and compassion, while a slave to a wealthy Roman family, is what drives the plot line, turning this heartbreaking saga into an uplifting one. Note: This is book one in the Mark of the Lion series. Chapters 1 and 2 are a bit slow and heavy with historical data but are a necessary foundation for the entire series. Once you get past them the story takes off with the final chapters making up for the lumbering initial ones. Warning: includes violence. Any of those titles above appeal to you? If not, how about reading my current selection which I started today? 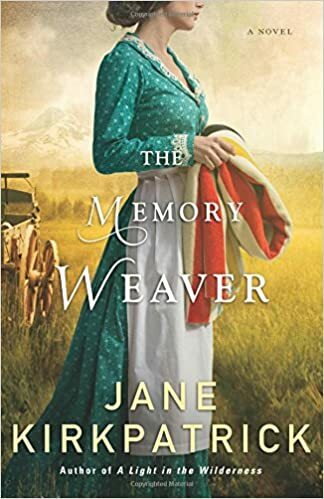 "Memory Weaver" by Jane Kirkpatrick, another author I enjoy who writes historical fiction which usually contains biblical principles. That’s all for now. An audio book waits . . . plus the polishing of tarnished silverware. P.S. What did you read this month that’s worth recommending? 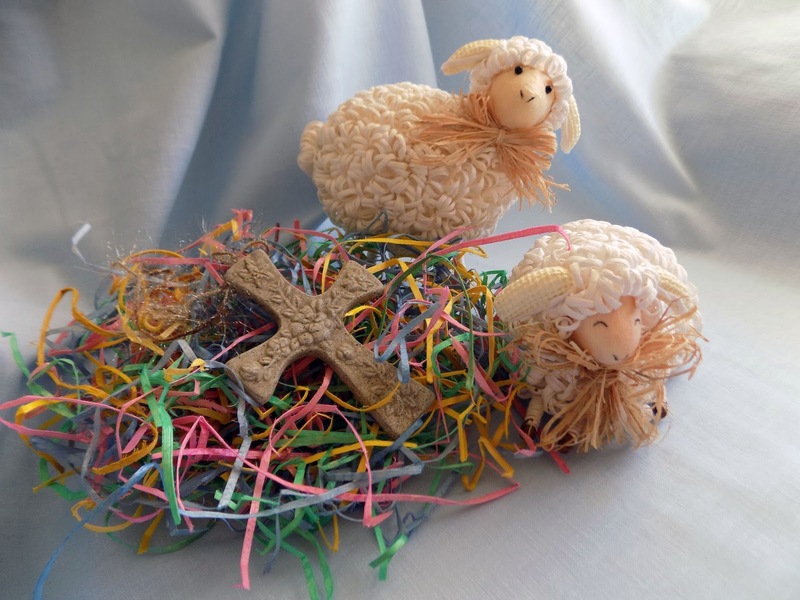 How a Lamb and Jesus Triumphed Over Rejection . . . and So Can You! I’m not a city girl. I’d much prefer to live on a farm, and if I did, a few sheep would be on the property along with a well-trained border collie to keep them in line. 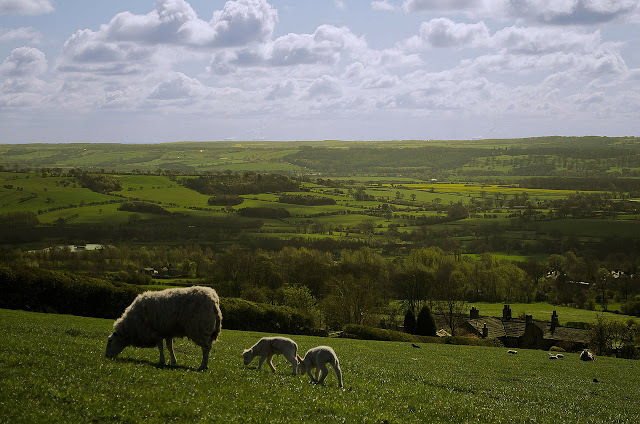 How I acquired my love of lambs, I’m not sure, could be it stems from the nursery rhyme, “Mary Had a Little Lamb” or the once popular painting of Jesus carrying a small lamb in his arms with more surrounding his feet. I received a tiny print of it when a child which I tucked away in my Bible for years. Memorizing Psalm 23 probably swayed me too with its portrayal of a loving shepherd. 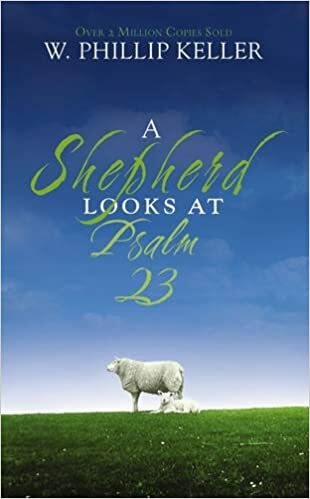 But it wasn’t until I read “A Shepherd Looks at Psalm 23” by Phillip Keller did I gain a more accurate view of sheep and the role of a shepherd. The book educated me on the potential dangers these creatures face and their daily needs, plus the arduous work a shepherd does to care and watch over them. It’s been decades since I first read the former bestseller but still embedded in my mind is this one fact: sheep are notoriously stubborn! And not too smart. Characteristics, along with other lamb traits, we humans--myself included-- often exhibit. We’ve another similarity: we both need a compassionate shepherd in order to survive. That fact again surfaced on Facebook a few days ago while watching “Enjoy the Shepherd,” by Ray Carman. He’s a sheep rancher in Tennessee who creates short videos, mostly about lessons he learns as he tends his flock. The particular video I viewed was about a female Ewe which rejects one of her newborn lambs. While Ray talks into the camera, explaining what’s transpiring with the animals behind him, the Ewe repeatedly shoves her baby lamb into a fence forcing it away from its siblings. My heart reacted with empathy as I watched the innocent lamb suffer rejection. Thankfully, the lamb has a tender shepherd (Ray) who came to his rescue and cared for it until strong enough to return to the pasture. Soon after I finished seeing more videos by Ray this picture of a lamb at church showed up in my Facebook feed. It’s that Lamb of God who I prefer to focus on this Easter, rather than bunnies, colored eggs, or candy. While not anti these aspects of the holiday it does sadden me to see them take precedence over a day set aside to honor and celebrate Christ’s resurrection. Which is why I wanted to write about a lambs today. And why a few artificial ones can be seen around my house this time of year. Here are two of my favorites which added a bit of sweetness to my March kitchen décor. It’s doubtful that I will ever own a ranch or raise lambs. But that’s all right. What’s more important is knowing and enjoying my Good Shepherd. P.S. 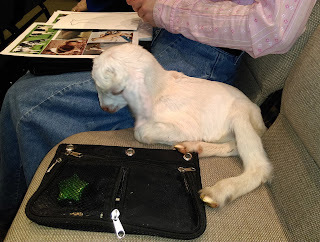 I thought you’d like to know the lamb rejected by her Mama is doing fine and goes by the name of Precious. My take on . . . Daylight Saving Time, Clocks, and "Nearing Home," a book by Billy Graham. My brain is working overtime! Lately it has decided to become alert at midnight and read for at least an hour. Why, I do not know. The other strange annoyance my mind seems to have is a focus on clocks. I’d be concerned, but I think I know what is to blame . 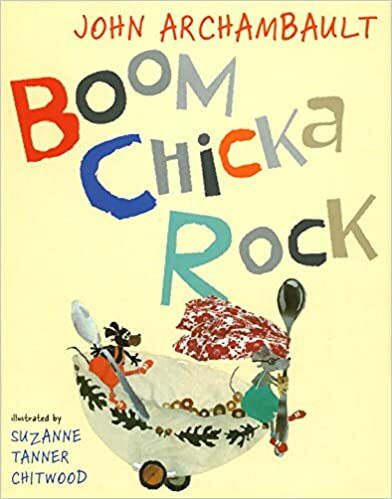 . .
First to blame is “Boom, Chicka, Rock,” a kids book I read recently involving a clock, 12 mice and a cat. Included too are a few silly-sounding words. Now this phrase, “Tickety, tockety” is on constant replay. Second to blame is Daylight Saving Time, taking place this weekend. I welcome the return of extended sunshine into the evening hours, but could do without the jet-lag symptoms it triggers as my body adjusts to the altered time. 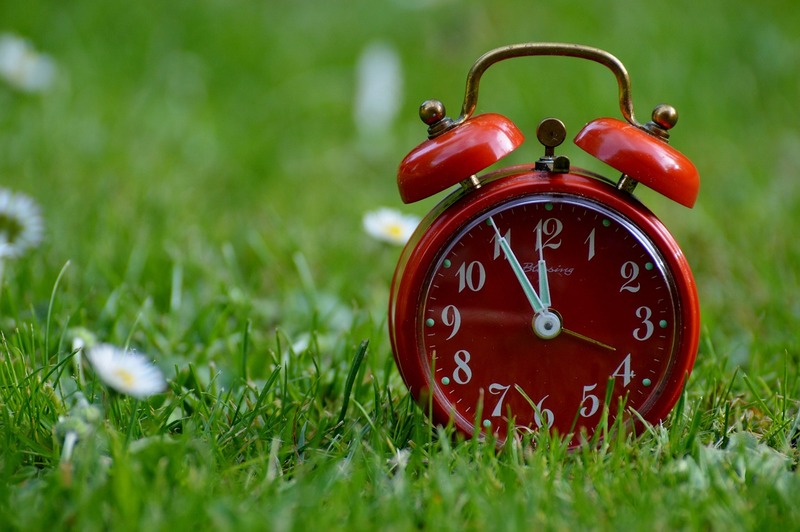 It baffles me why we continue with this practice of changing our clocks each fall and spring. It’s my understanding the intent of this mandate back in the early 1900’s was to conserve on the use of candles (Electricity was not common in homes until 1930’s.) and make better use of daylight. May have made sense then, but now? Third to blame is my own personal “body clock.” It is relentless in reminding me I have entered the final decades of my life. Where once endless energy was mine, now it is limited. Where once I tackled multiple projects every day, now they are spread out over weeks, or not done at all. Where once I regularly and meticulously washed my car, now it gets done occasionally. The clock is assuredly winding down. I admit it is tough to accept and embrace getting older and to relinquish enjoyable tasks, like gardening, as well as those which are mundane. Makes me think of a remark my Mom made after Parkinson’s stole her ability to walk normally: “Oh, how I wish I could still clean my house.” I now understand the deeper message of her words which is why I try to be grateful for even the smallest of tasks I can still do . . . even dusting. For some, the decline of one's health or loss of something or someone, triggers anger or a negative attitude, etc., but there are alternatives. One option is to change your focus. Rather than dwell on what is being removed from your life, consider a new interest. For example, when I could no longer lift books and had to stop overseeing the Kids Library I heeded Dr. Seuss’ advice: “Don’t cry because it’s over, smile because it happened!” Coming upon his words enabled me to focus on being thankful to God for the 14 years I got to serve in that capacity and look forward to a new assignment. In time it emerged: start a blog to share my knowledge of books and pass along stories which can help others. Ta Da! New focus. New outlook. 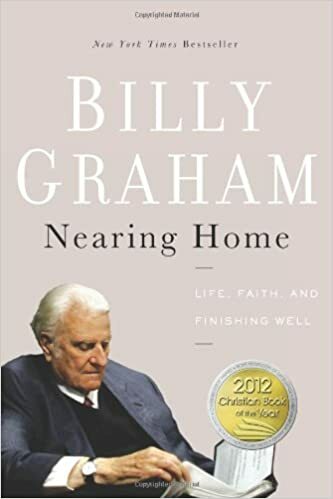 Now that books have been brought up, let me tell you about “Nearing Home,” by Billy Graham. It came into my life as I contended with a painful eye problem which caused me to seek advice about how to live with chronic health issues. Aware Dr. Graham had Parkinson’s disease and in his 90’s, I was certain I’d find wisdom in his words. He helped on a number of fronts, plus reinforced the importance of a biblical perspective on aging. What caught me by surprise was his willingness to be so vulnerable and honest about his own issues. The book exceeded my expectations. Unlike his other titles, this one is much more personal, especially when writing about missing Ruth, his wife of 63 years. It’s also filled with practical and biblical advice for anyone desiring to gain insight on how to finish well. 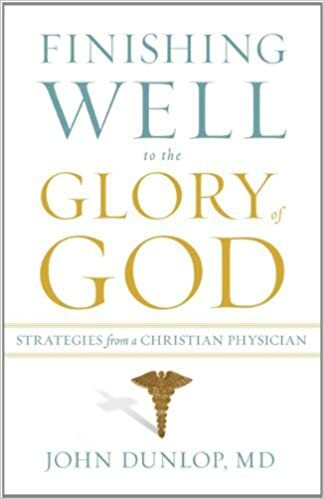 “Finishing Well to the Glory of God: Strategies from a Christian Physician” by John Dunlop, M.D., copyright 2011, 224 pages. Fascinated by what I have read so far. His medical knowledge and perspective definitely set this title apart from others. 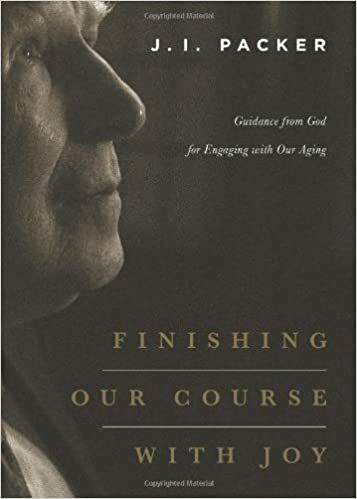 “Finishing Our Course with Joy: Guidance from God for Engaging with Aging” by J. I, Packer, copyright 2014, 112 pages. Short book packed full of wise counsel by a well-known author and theologian. Don't let the dark, somber cover keep you from considering what really is an uplifting book. While it may appear these titles are geared for those advanced in age, a younger audience could benefit from them. Similar to long-range retirement planning, which needs to start when young, these men’s works could prove invaluable if read years prior to turning 65. Other clock stories have surfaced as I've written this piece (Yes, my mind is still working overtime!) and this one is the perfect way to end this post. Some sixteen years ago when I bought my little bungalow, badly in need of refurbishing, a few loving friends showed up to clean, paint and transform the place. Before leaving that day one of them handed me a house-warming gift. Inside was a clock! It still is part of my décor and a sweet reminder of the kindness of friends. P.S. 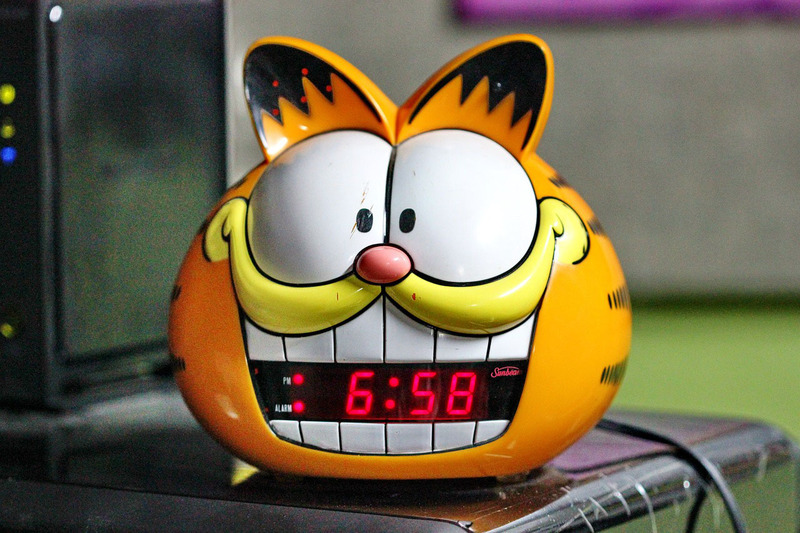 Garfield insisted I remind you to set your clocks back this weekend! 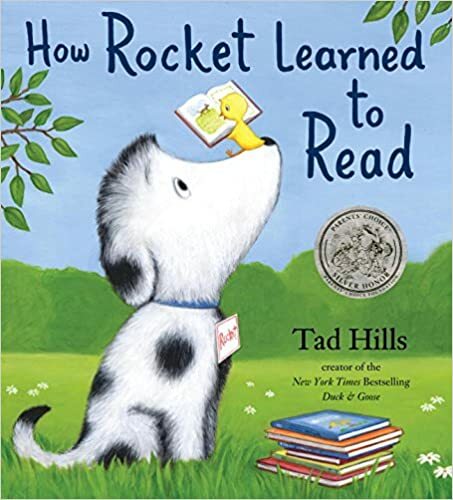 15 Books About Dogs Which Kids and Adults Will Enjoy! “Spice” is my red-haired puppet who I took to Pet Smart last week for a photo shoot. There was a purpose behind this crazy adventure: In a few days I would be back at the preschool to read “What Pet Should I Get” by Dr. Seuss for Story Time. 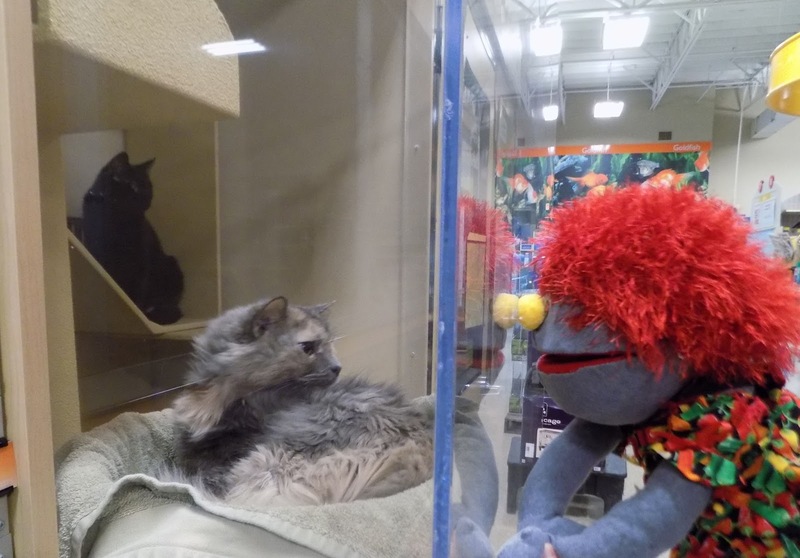 Knowing how much the boys and girls like Spice I thought it would be fun to show her checking out all sorts of “live” animals: dogs, cats, gerbils, birds, guinea pigs, lizards and even a baby python! Spice now wants her hair dyed gray after seeing this beauty! The short slide show was a big hit with the kids, and, of course, the snake received the most shrieks, oohs and aahs. 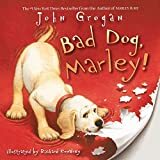 “Bad Dog, Marley!” By John Grogan. 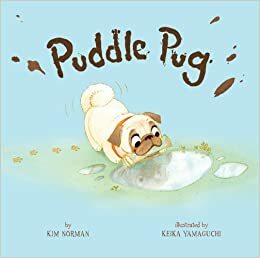 Colorful graphics, a baby called Louie, and a not-yet-trained-puppy named Marley - who creates havoc at home – turns this cute story into a sentimental one. Book is based on the bestselling book/movie, “Marley,” by the same author. 40 pages, $6.99 paperback. 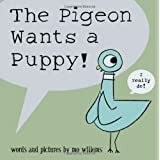 “The Pigeon Wants a Puppy!” By Mo Willems. “I want a puppy and I want one now!” makes it easy to grasp the gist of this book right away. But it’s a fun read as are all of the titles in this popular series. The minimal art and text fit well with preschool age. 40 pages, $9.10 Amazon price. 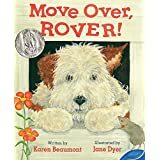 “Move Over Rover” by Karen Beaumont. 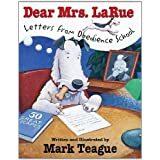 A rhyming text tells the story of Rover who is quite content in his dog house until a menagerie of other animals pays him a visit and carves out a cozy spot at his side. That is, until a certain animal shows up. Cute ending. 40 pages, $14.76 hardback. “Help Me, Mr. Mutt! by Janet Stevens and Susan Stevens Crommel. 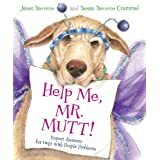 A canine counselor, with expert answers for dogs with people problems, hands out advice to a variety of canines who write in about their owners. Meanwhile, the counselor’s cat (The Queen) offers her own view/advice. Adults like this book as much as kids. 56 pages, $13.88 hardback. 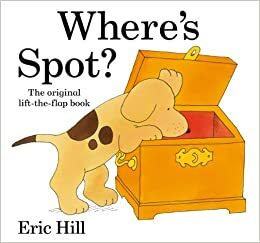 “Where’s Spot” by Eric Hill. This book has been around for a while but still quite popular. Kids love the lift-the-flap options on each page which keeps their attention and lends to asking them questions about the content. 32 pages, $9.83 hardback. 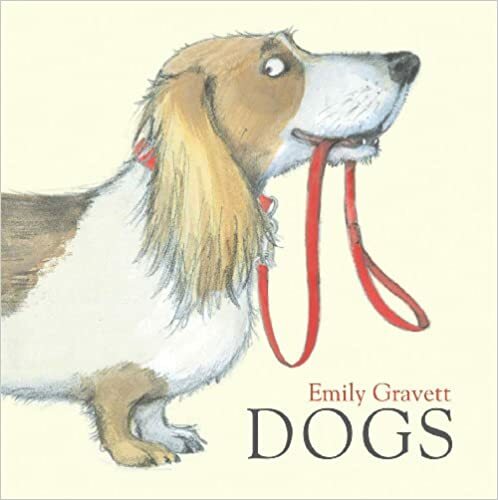 “Dogs” by Emily Gravett. Wonderful illustrations, like the one seen on the book’s cover, fill up the pages in this title. 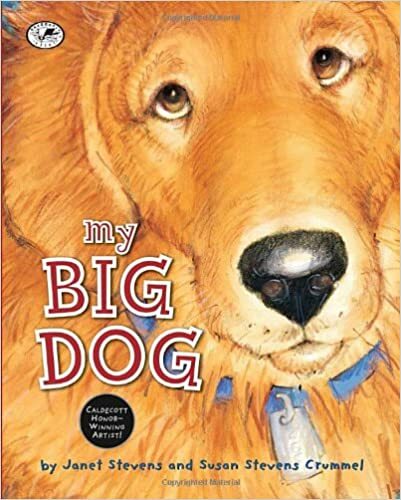 Young readers will be captivated by the various shapes, sizes, colors and type of dogs presented . . . and the surprise ending. Few words used in the 32 pages so it’s a quick read. $14.32 hardback (Also in paperback). Can’t leave today without mentioning Jon Katz. 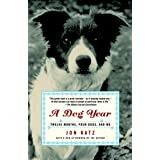 He's a marvelous author who writes about his dogs, plus an assortment of other animals, and life at Bedlam Farm in upstate New York. Woven into his true accounts are lessons he has learned which are applicable to all of us. Loved his latest work: "Saving Simon: How a Rescue Donkey Taught Me the Meaning of Compassion." Katz's intended audience is adults and I’ve read and enjoyed almost all his works. “Running to the Mountain” is the first of his books revealing how he came to leave city life for the country and ended up buying Bedlam Farm. Having mentioned Katz that makes me think of Cats. No doubt I've disappointed a number of you by focusing on dogs today. But don't write me off yet, there are oodles of books about felines so I will definitely consider a future post devoted to cat books which merit a review. Until then, have fun reading and cherishing those around you, even your pets. P.S. Some pet names are truly original. I grew up with dachshunds mostly named after cars (i.e. Mercedez). What do you call your pet?